Stanley Howse (Flesh-N-Bone) is born in Cleveland Ohio. Anthony Henderson (Krayzie Bone) is born in Cleveland Ohio. Steven Howse (Layzie Bone) is born in Cleveland Ohio. Charles Scruggs (Wish Bone) is born in Cleveland Ohio. Bryon McCane (Bizzy Bone) is born in Columbus Ohio. Layzie Bone caught selling drugs and is forced to move to Texas to live with his uncle and aunt. Bone thugs-n-harmony releases "Faces of Death" under the name Bone Enterpri$e. Bone thugs-n-harmony audition live backstage for Eazy-E. He signs them to Ruthless Records on the spot. 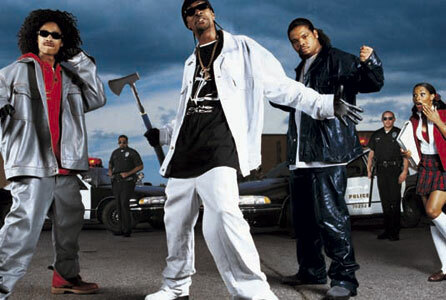 Bone thugs-n-harmony release their first real album "Creepin on ah Come Up" which went to sell over two million copies. Bone thugs-n-harmony release "E.1999 Eternal" which debut at #1 on top of the pop charts. Their biggest hit "Tha Crossroads" went to win a Grammy. Eazy-E passes away from AIDS. Bone thugs-n-harmony release their double disc album "The Art of War". Bizzy Bone's father (Byron Carlos) passes away. Bizzy Bone releases his first solo album "Heaven'z Movie". Krayzie Bone releases his first solo album "Thug Mentality". Bone thugs-n-harmony release "The Collection, Volume 1". Krayzie Bone starts Thugline Records. Bone thugs-n-harmony release "BTNHResurrection" which stops all rumors that they are broken up. Flesh-N-Bone is sentenced to 11 years in a California state prison for threatening a friend with an AK-47. Flesh-N-Bone then releases his second solo album "5th Dog Let Loose". Bone thugs-n-harmony release "The Collection Volume Two". Layzie Bone releases his first solo album "Thug By Nature" under the alias L-Burna. Bizzy Bone releases his second album "The Gift". Krayzie Bone releases "Thug On Da Line". Bone thugs-n-harmony release "Thug World Order". Bizzy Bone leaves/is kicked out of the group. Bone Thugs-N-Harmony off Ruthless Records. Bizzy Bone releases his third solo album "Alpha & Omega" and "The Beginning and The End" (Internet Only). Ruthes Records releases Bone Thugs-N-Harmony Greatest Hits and Greatest Videos DVD. Krayzie Bone releases "Gemini (Good Vs Evil)" under Ball'r Records. Bizzy and Layzie release "Bone Brothers". Layzie Bone releases "It's Not A Game". Krayzie Bone is featured on the Biggie Duets Album "The Final Chapter" and also appears in the music video "Spit Your Game". Now on BET.